I am an artist / knitter, based in Margate, Kent. 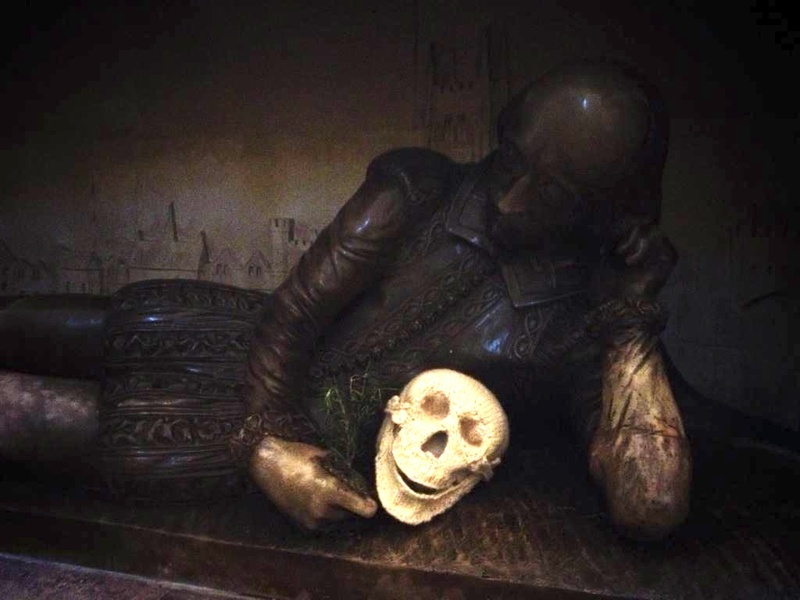 Currently I’m creating a Tree of Knowledge for Ramsgate Library; Shakespeare is contemplating my skull at the Wool Interiors Collection in Southwark Cathedral for Wool Week. If you would like to get involved in the Ramsgate project there’s some information available here. And I’ve had a few people ask if there’s a pattern available for the skull. I’m in the process of writing it up and it’ll be available to download soon. I think I’ll also do a playlist so, if you feel like it, you can listen while you knit and meditate on the permanence / impermanence of things, just like Will Shakespeare is doing here… Contact me if you’d like me to let you know when the pattern’s available (I’m tweaking it a bit as I write it up! ).